In this clear-eyed and compassionate study, Robinson (Coal to Cream), Pulitzer Prize–winning journalist for the Washington Post, marshals persuasive evidence that the African-American population has splintered into four distinct and increasingly disconnected entities: a small elite with enormous influence, a mainstream middle-class majority, a newly emergent group of recent immigrants from Africa and the Caribbean, and an abandoned minority "with less hope of escaping poverty than at any time since Reconstruction's end." Drawing on census records, polling data, sociological studies, and his own experiences growing up in a segregated South Carolina college town during the 1950s, Robinson explores 140 years of black history in America, focusing on how the civil rights movement, desegregation, and affirmative action contributed to the fragmentation. Of particular interest is the discussion of how immigrants from Africa, the "best-educated group coming to live in the United States," are changing what being black means. 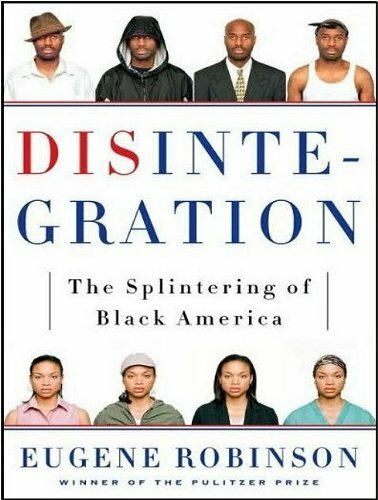 Robinson notes that despite the enormous strides African-Americans have made in the past 40 years, the problems of poor blacks remain more intractable than ever, though his solution--"a domestic Marshall Plan aimed at black America"--seems implausible in this era of cash-strapped state and local governments. When Saying "NO" isn't even enough - WTF? "Global Warming" or "Climate Change" which is it? Stop playing the "Kid" card! The Urban Beat: What's going on in the world? Is Leon Walker a Criminal? Celebrating Dr. MLK Day: How it Should Be Done! No more Ni99as in "Huck Finn"
The Urban Politico Has Reached 100,000 Viewers!! !